Leonardo opened its new facility in Pisa, Italy, dedicated to the development and production of its AWHERO Rotary Unmanned Air System (RUAS). During the opening ceremony, attended by national and local authorities and representatives from the industry, the first pre-production aircraft was also unveiled. Leonardo explains the set-up of its new facility, with a workforce of 60 people, and the unveiling of a more capable aircraft mark two major milestones in the development of the AWHERO. The program was originally launched in 2012 under a joint venture with Sistemi Dinamici S.p.A., which was then acquired by Leonardo in 2016. Leonardo’s unmanned helicopter portfolio also includes the SW-4 Solo. The company states both aircraft leverage its expertise in systems integration and airborne sensors, which can prove critical in the fast-growing unmanned systems market. The opening of the new Pisa facility also expands the presence of Leonardo in Tuscany, where the company designs and manufactures a range of products in the defence, security and space fields with more than 1,800 employees located at three facilities in Campi Bisenzio (Florence), Montevarchi (Arezzo) and Livorno. Compared to the original variant, Leonardo explains the pre-production 200-kg class AWHERO unveiled last week features an optimized airframe and aerodynamics, new fuel system, new composite tail rotor drive shaft and a new liquid cooled rotary engine. This aircraft performed its maiden, 10-minute flight in Nettuno, close to Rome, in December 2018. 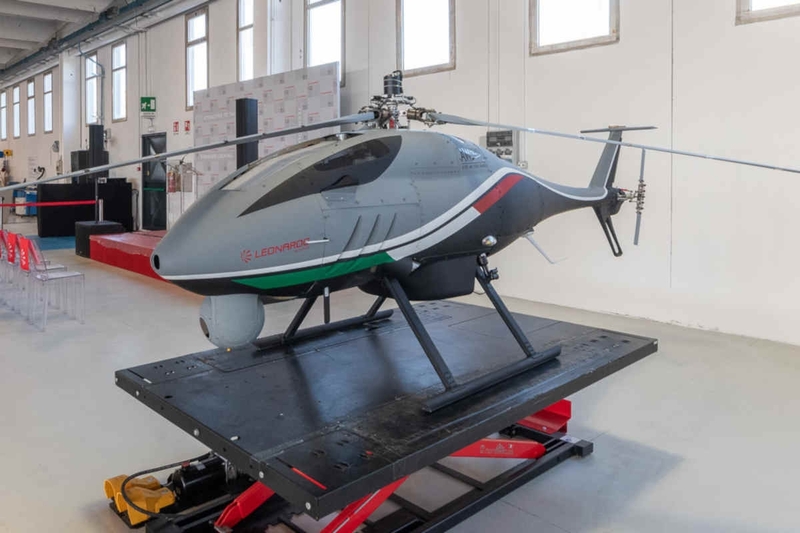 The second pre-production AWHERO is expected to take to the air in the next few months in advance of Italian military certification, which is expected by the end of 2019. Leonardo misled during FWSAR bidding process?